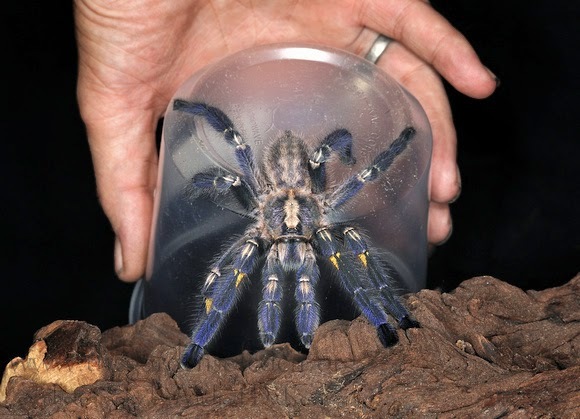 Although most of us are afraid of spiders, especially the big ones like tarantulas, some people actually admire these insects and even keep them as pets. These bugs come in all colors, and one of them will definitely take you by surprise. 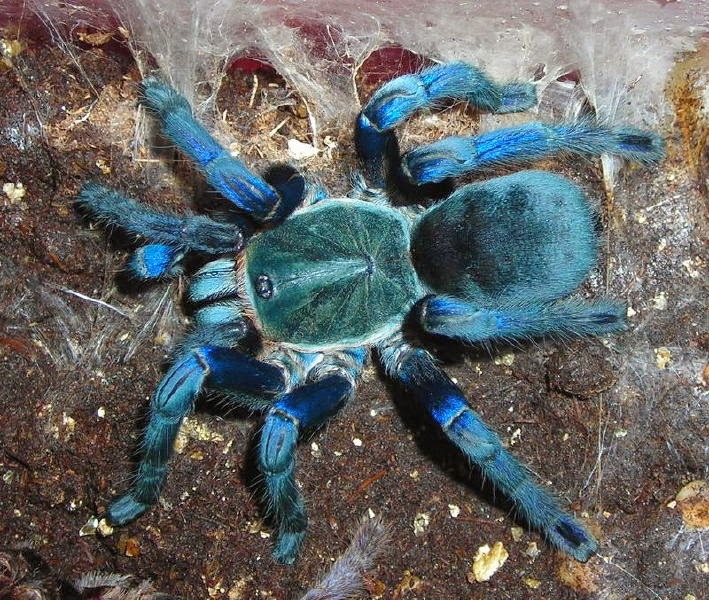 Poecilotheria metallica is not a band, but a beautiful specie of tarantula that reflects a brilliant, shiny, metallic blue color. Just like the other spiders with the same genus, it gives out a complex fractal-like design on its abdomen. These colorful spiders are usually found in the forest of Andra Pradesh, southern India. The P. metallica was initially discovered in Gooty in the Anantapur district, where it took it’s common name, Gooty tree spider. 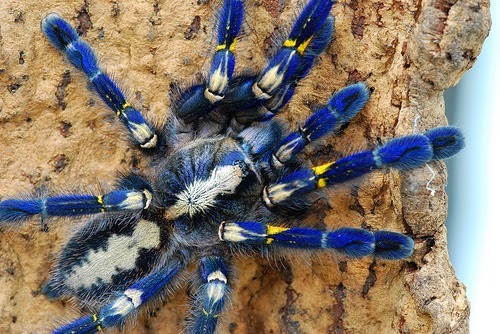 It’s also known as the Gooty sapphire, salepurgu, peacock tarantula, and metallic tarantula. Another thing that makes this tarantula unique is that it’s only found within that small area of southern India. It’s a protected and reserved forest, however it does face threats from the human world. A few surveys have been done to see if the species is found on other nearby forest, but they didn’t find the spiders there. These spiders are arboreal. They live in tall trees, spinning webs between tree holes and spend most of their time in the canopy. They mainly prey on small, flying insects that they actually capture while flying and paralyze them. There is a very high demand for these tarantulas, some even pricing at $500 USD for more for an adult specimen. They are currently in the critically endangered classification by IUCN.